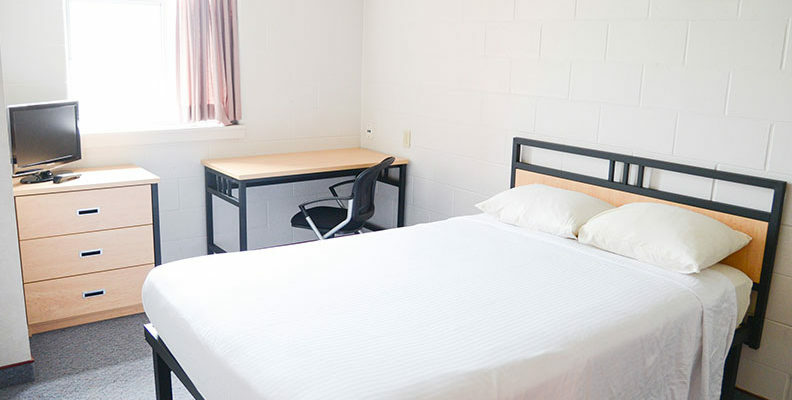 When you stay at Residence & Conference Centre – Welland you will enjoy a convenient location in the heart of the Niagara region just 15 minutes from major attractions in Niagara Falls, St. Catharines and Fort Erie/Buffalo NY. Let us be your home away from home as you visit Welland, Niagara Falls and other Niagara area attractions. Ideal for leisure travel as well as conferences and conventions, our large suites and hotel-like amenities will provide all the comfort and convenience you need. Safe, secure on-site bike storage is available – 2 options; bicycle storage room and/or in-room storage available. RCC is part of the OntariobyBike.ca program! Welland is also a popular destination for water sports being located near the Welland International Flatwater Centre, a 2015 Pan Am Games venue and home of the South Niagara Rowing Club. Niagara College Welland is the perfect choice for guests and teams attending the CSSRA Regatta, and Dragon Boat Canada training and races. Our suites offer excellent value and convenience and feature two separate bedrooms providing guests with privacy. Each of our suites comfortably sleeps four guests. Relax after a long day and watch some television, catch up on the news, or check your email, all while enjoying the comforts of an air conditioned suite. Complimentary Wi-Fi service available in the Residence lobby.